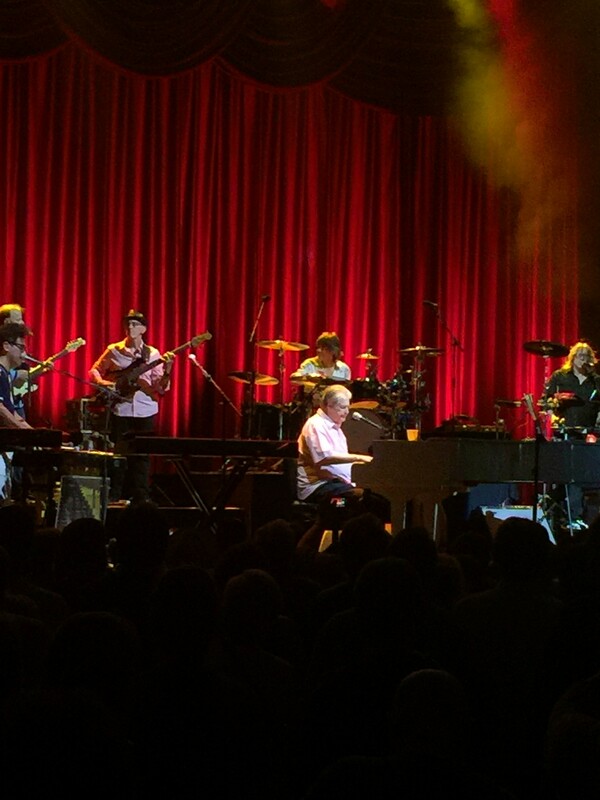 “The next song is a long one,” Brian Wilson said. “It’s about 20 minutes long.” Apparently Brian felt the need to apologize in advance for the length of the upcoming song. And when he had finished playing the emotional version of his masterpiece, “Surf’s Up” (which actually clocks in at just over four minutes), he seemed to apologize again. “It’s a long song,” he said. This kind of humility, combined with the brilliance of his art, goes a long way toward explaining why millions of people love Brian Wilson. There weren’t millions of people at the Blue Hills Bank Pavilion on Boston Harbor for Brian’s show last week. In fact, there were more empty seats than can be rationally explained. Fortunately, the ardor of the crowd that was there more than made up for those who decided to sit it out. In any event, it was their loss. I’ve seen Brian many times since he began touring as a solo artist. Until last week the highlights of my Brian Wilson concert-going experience were the shows I saw on the SMiLE tour in 2005. That’s all changed now, although I still cherish the memory of those shows. The Boston show was the best Brian Wilson show I’ve ever seen, and one of the best concerts I’ve seen period. Darian Sahanaja, Probyn Gregory, Scott Bennett, Nelson Bragg, Nick Walusko, Paul Mertens, Mike D’Amico, Bob Lizik. I have chosen to include the names of Brian’s band because in my long-held opinion they are the best touring band in the world. And, with the exception of one notable defection, Brian has held his band together for nearly 20 years. Now that the departed band member, the talented Jeffrey Foskett, has been replaced by Beach Boys family member Matt Jardine, what was already special has gotten better still. There was a lot for a Brian Wilson fan to take in at last week’s show. First of all, there’s a new strategy afoot, and it’s such a good idea you wonder why it wasn’t tried years ago. Instead of placing all of the pressure on Brian to sing every song, the lead vocals are now shared by Brian and band members Sahanaja, and Jardine, as well as tour guests — former Beach Boys Al Jardine and Blondie Chaplin. The success of the strategy is immediately apparent. Brian is more present, more involved, and seemingly having more fun than he has in the past. On past tours Brian sat behind an electronic keyboard that he barely touched. This time out, there’s a white baby grand center stage, and Brian plays it throughout the entire show. And for the cynics, yes, it’s mic’d. Perhaps this change was inspired by Bob Dylan who recently moved out from his electronic keyboard and became a meaningful participant in the music that his band is playing. Brian, in fact, is so involved in his playing that he missed a couple of vocal cues. It was no big deal. It’s great seeing him so involved with his band. Oh, and that schtick where they used to strap the bass on Brian at the end of the show? Gone, hopefully never to return. 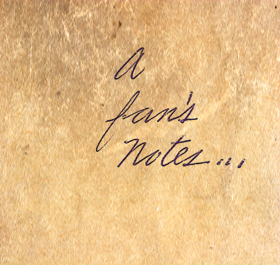 The set list was remarkable in that it had something for everyone from casual fans to the die-hards. It was immediately apparent that it was going to be a special night when the show began with two songs that appear at the start of SMiLE, “Our Prayer,” and “Heroes and Villains” (the rarely heard “bicycle rider” version of the song). The first part of the set featured early Beach Boys classics like “409,” “Little Deuce Coupe” (both featuring Al Jardine on the lead vocal), and “I Get Around,” but a less often heard favorite, “Girl Don’t Tell Me,” was included as well. Then it was time for Blondie Chaplin’s part of the show, and it did not disappoint . Chaplin began with “Sail Away” from the new album and followed it with incendiary versions of “Wild Honey” and “Sail On Sailor.” Not only were Chaplin’s considerable vocal abilities on full display, he fired up the crowd with some powerful guitar solos as well. Sahanaja stepped up next for the ’72 Beach Boys hit “Darlin’.” That was followed by the biggest surprise of the night when Al Jardine sang back to back Beach Boys deep cuts, “Wake the World” followed by the bossa nova rhythms of “Busy Doin’ Nothin’.” Both songs are from the not widely appreciated Beach Boys album Friends. Even if you’ve been to as many Brian Wilson shows as I have, you’re not likely to have heard these songs performed. Again, I think that having Al Jardine on stage with him has inspired Brian to expand his live repertoire. 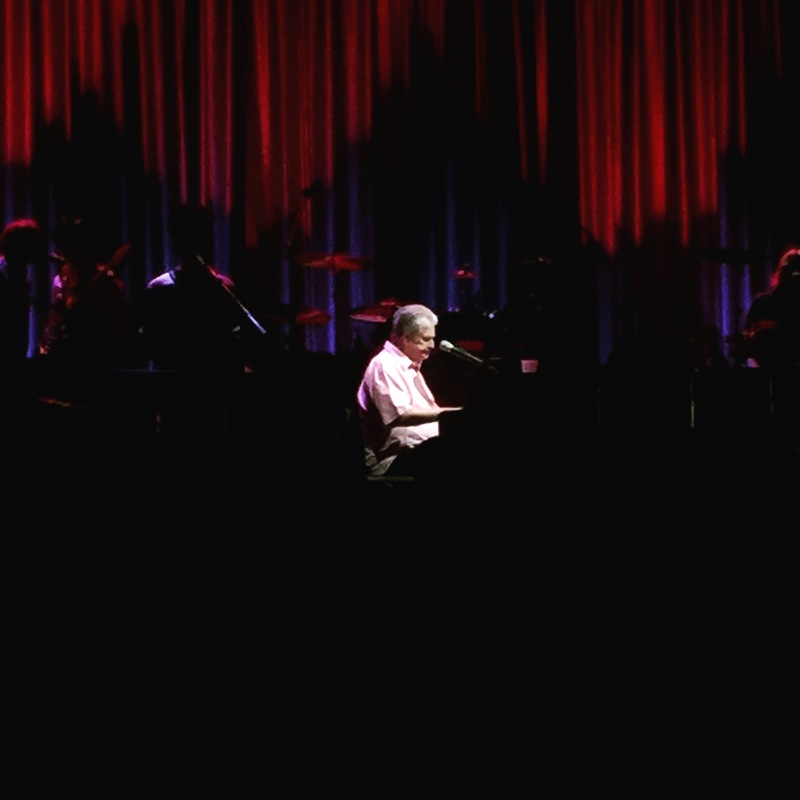 The encore at a Brian Wilson show is always an upbeat romp through some of his best summer songs, and the Boston encore was no exception. The rapid fire sequence consisted of “All Summer Long,” “Help Me Rhonda” (Al Jardine singing of course), “Barbara Ann,” “Surfin’ USA,” and “Fun, Fun, Fun.” The show closed, as Brian’s shows have in recent years, with the tender “Love & Mercy.” The lyrics changed slightly to reflect Brian’s ongoing concern about the world we live in. “There’s a lot of people getting shot, and it really scares me,” he sang. Me too. At first the pairing of Brian Wilson and Rodriguez might seem odd, but after thinking about it I realized how much in common these two artists have. Both are in their 70’s now and need assistance to get on and off the stage. Both spent years in the wilderness before making triumphant returns. And both have been the subject of films about their lives. Brian Wilson has spoken openly about retiring from the road. He has announced that his European tour next year will be his last on the continent, and it probably won’t be long before he says the same about the U.S. If this is truly the end of the touring life for him, he is going out on top, and that’s how it should be. Brian came back to set the record straight, and his triumph is now complete. He doesn’t owe the world another thing. If I never see him again, my heart will remain full of his music for as long as it continues to beat.